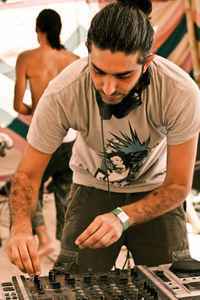 Trance producer, born in 1979 in the northern city of Kyriat Bialik, Israel, nearby Haifa. He started his journey in electronic music in 1995 in the Shidapu group and also released a solo album. After a stop of a few years in creating music, he came back in 2007 with collaborations in the progressive trance style. Since then, he played live in MUTe at countless parties around the world. These days, Roy performs and is active again in his first band ”Shidapu". He also works on "new school" goa material and is one of the managers of the Zion 604 label.